Today was the first chilly day of the season. I was excited to finally pull out my winter clothes! Days like that I just want to be snuggled up in my pjs with a nice cup of tea and watch movies all day long! 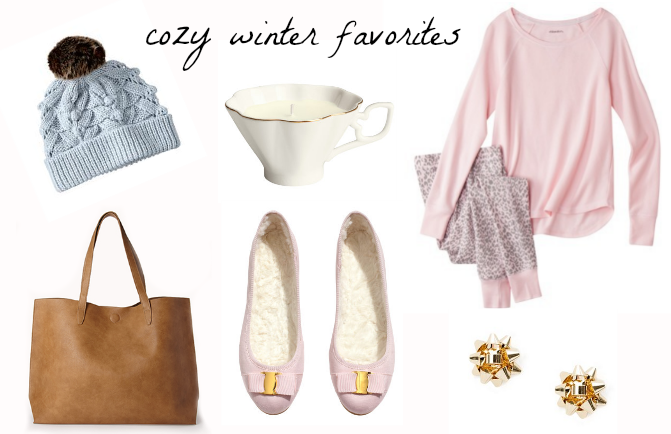 Below are a few winter items I'm swooning over. I love everything on this! Those Target PJs are adorable, and I love the cozy but chic feel of every item. This cold weather makes me want to be home in bed all day!